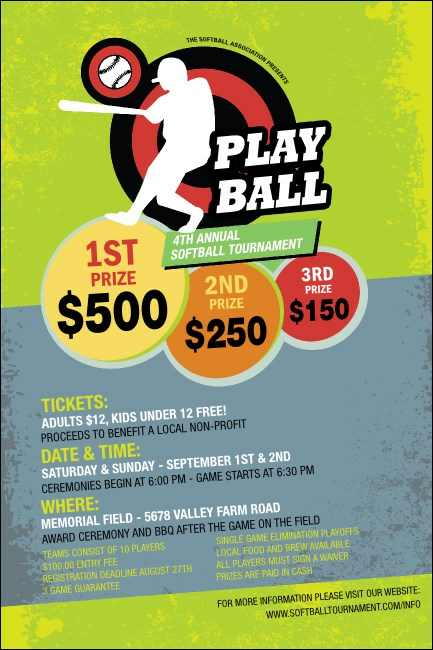 Showcase your all-star softball team when you promote your next event with colorful Softball Posters. These unique Poster templates feature a flashy lime green and gray-blue background with a distressed look, and feature a heavy hitter sending the softball flying from a red and black bull’s eye. Promote your sports event with pride with Posters from TicketPrinting.com.